Whether you’re part of a large corporation, or simply want to present yourself to your clients as a larger business, Alternative Communication Systems can provide you with professional voicemail and auto-attendant solutions to keep your customers from waiting too long on the line. We can incorporate standalone voicemail technologies into your existing telephone and data infrastructure, thus helping you to achieve cost benefits and enhanced system performance. All of our voicemail and auto-attendant solutions are tailored to individual requirements and budgets – take advantage of our free consultancy services by contacting our team in Oxfordshire today. Don’t risk missing out on potential clients or disgruntling existing ones – invest in a professionally installed voicemail and auto-attendant systems from Alternative Communication Systems of Witney, Oxfordshire. Call us now for a free quote. "Oxford Pharmagenesis Ltd has enjoyed an excellent working relationship with Alt Comms for a number of years. We have always found them to be a knowledgeable, professional and friendly company, who have successfully managed many projects they have undertaken for us, both large and small and more often than not, at short notice." Ensure that your telephony system is designed to support your clients. 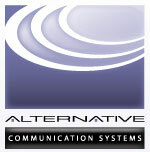 Talk to Alternative Communication Systems about voicemail and auto-attendant solutions in Oxfordshire and surrounding counties.